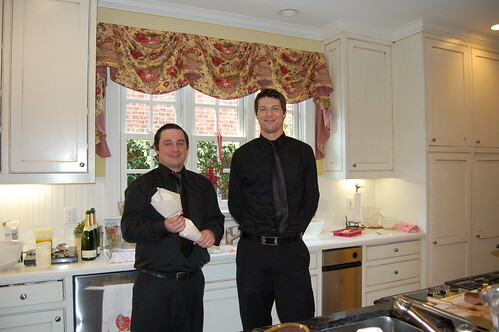 Behind the scenes: Jarrett and Hossain were a huge help! 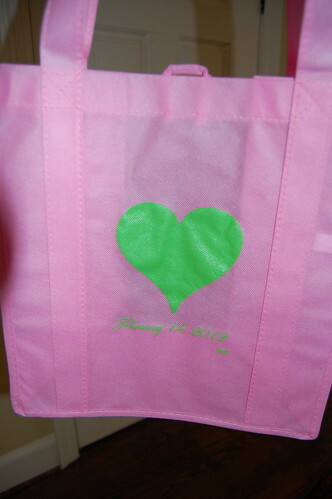 Party favor: reusable grocery bag with the date and my initials. 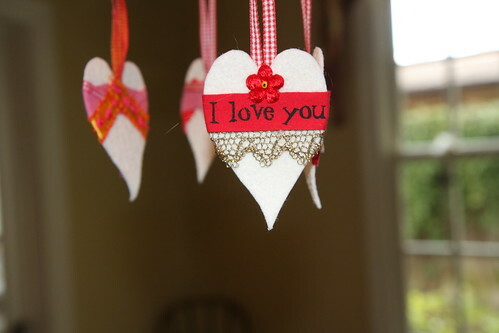 I ordered these from discountmugs.com and was very happy with the service and quality. 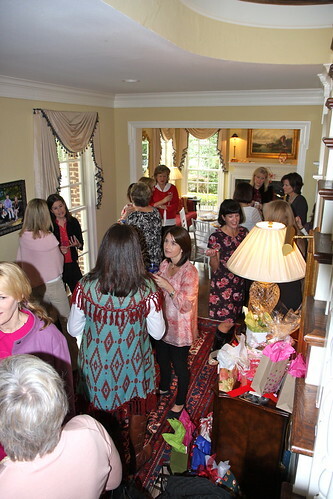 My friends seem to like them, too! 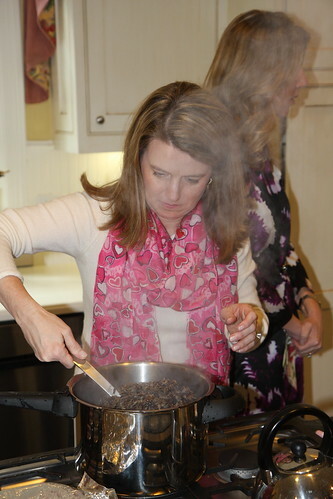 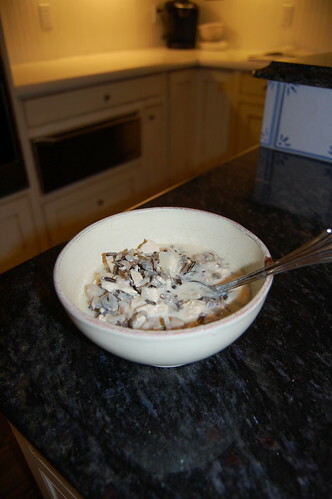 It really doesn't take this much concentration to stir wild rice! 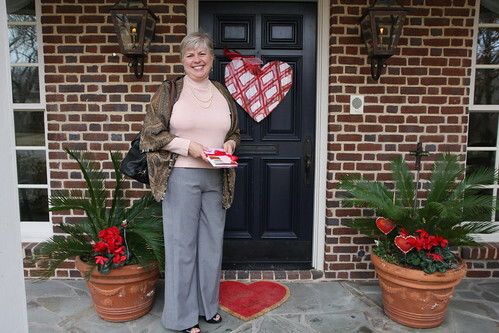 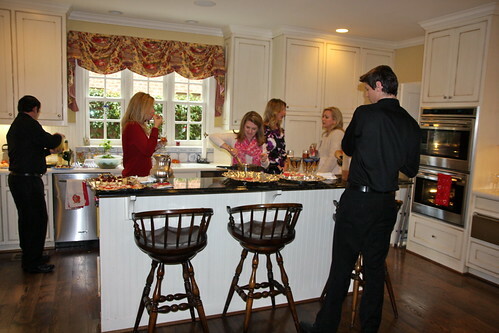 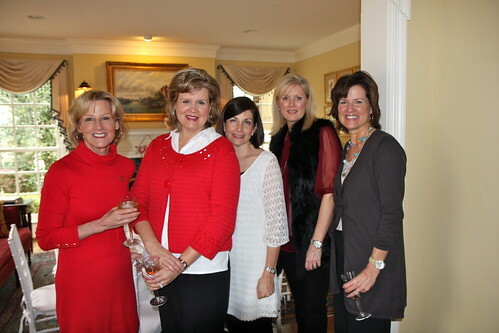 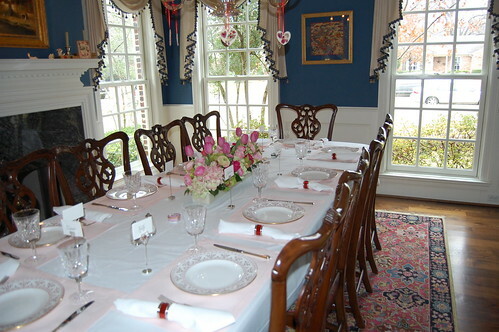 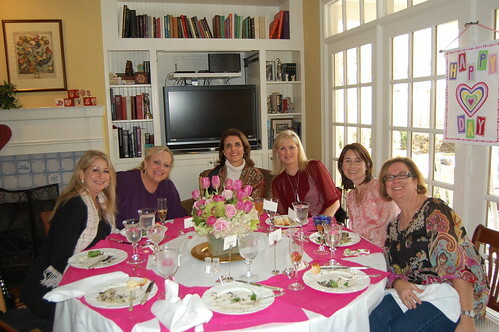 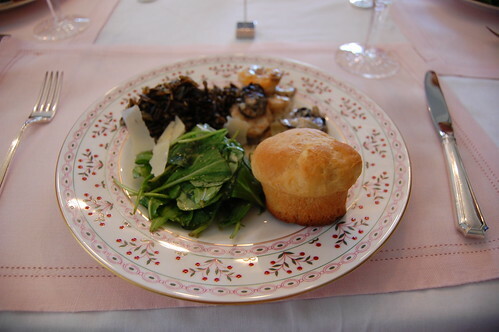 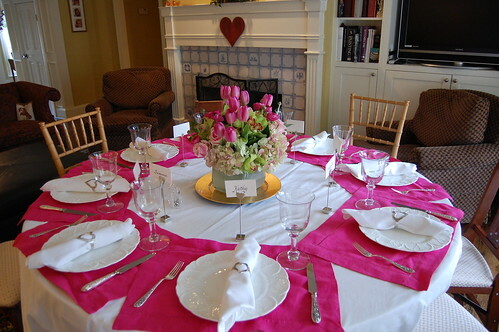 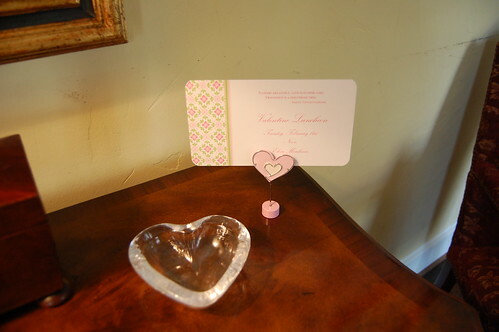 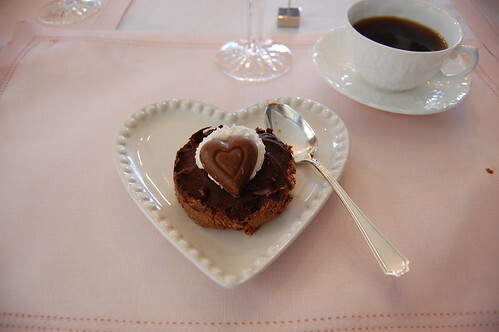 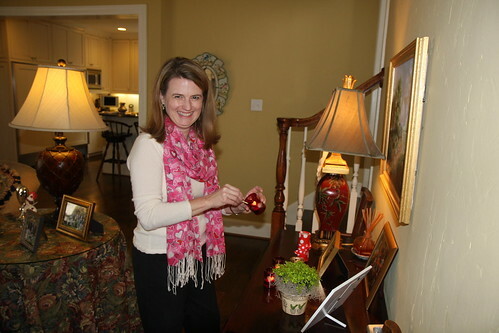 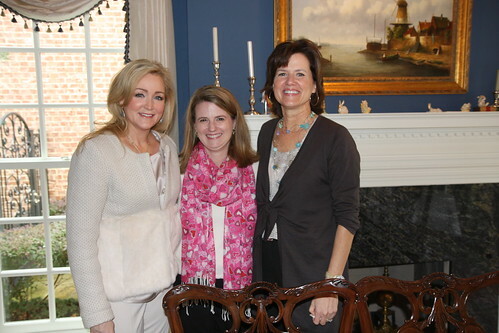 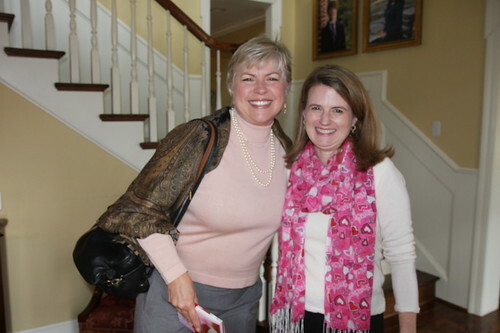 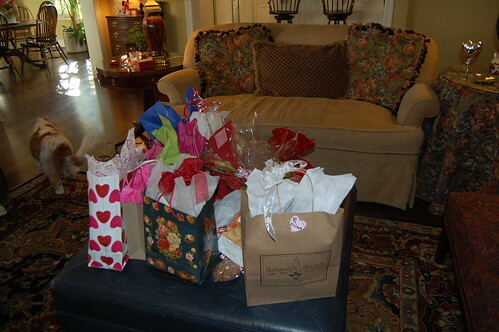 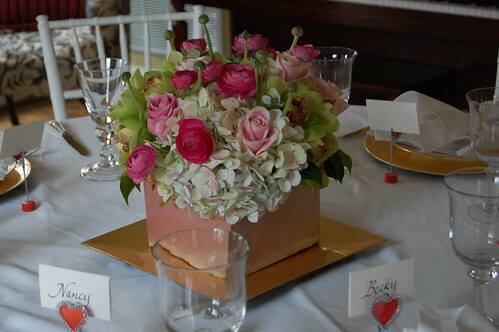 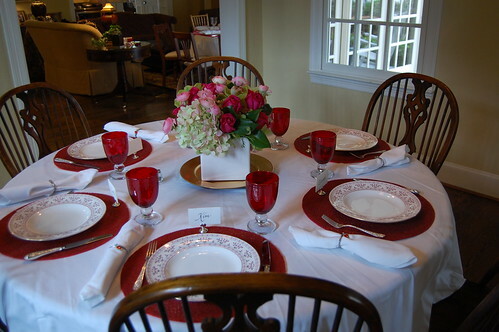 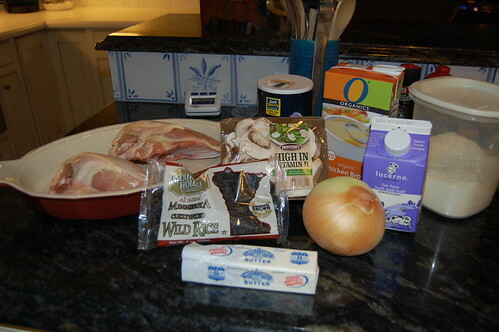 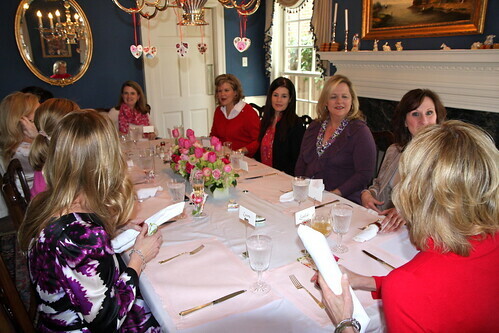 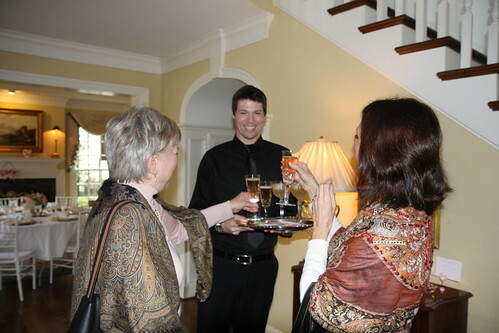 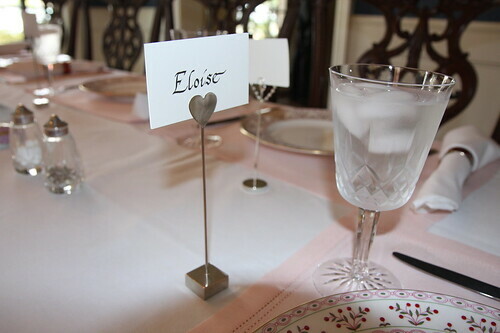 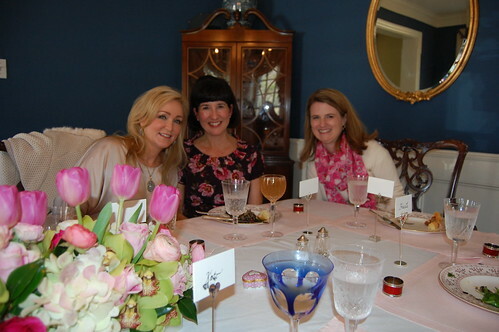 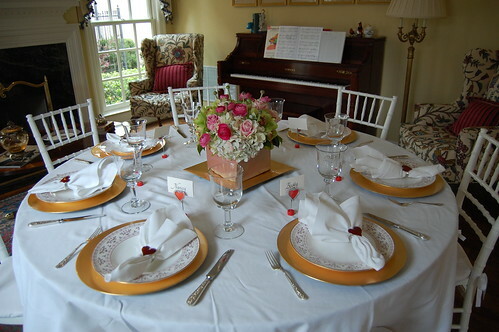 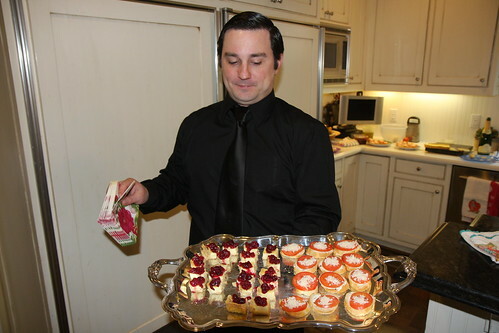 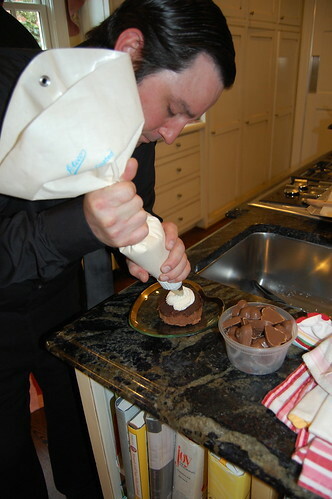 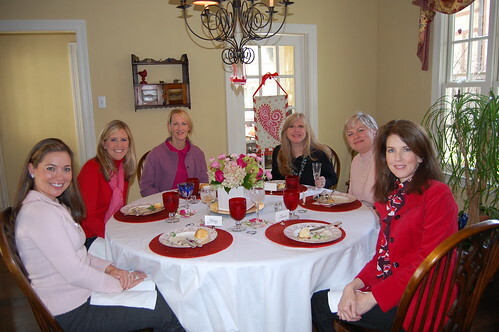 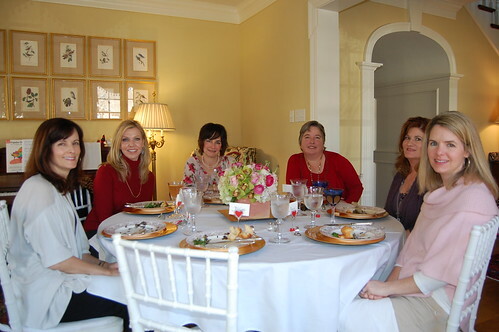 I hosted my annual Valentine Luncheon last week. 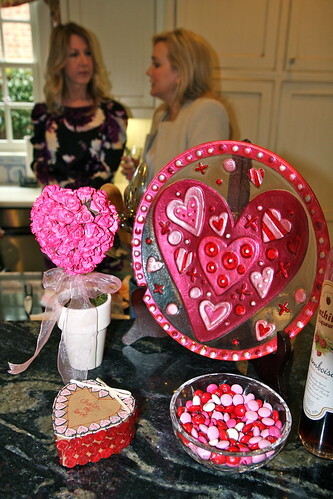 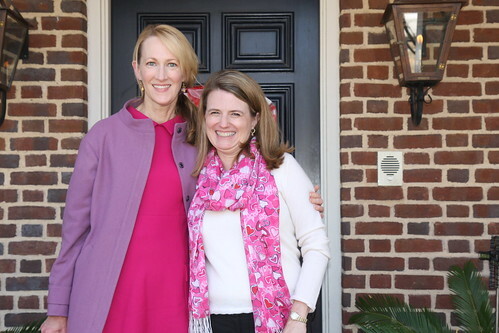 I conceived this party over ten years ago as a way to celebrate and honor the wonderful friends that I have (and because girls appreciate all the beautiful trappings of Valentine's Day slightly more than my wonderful husband!). 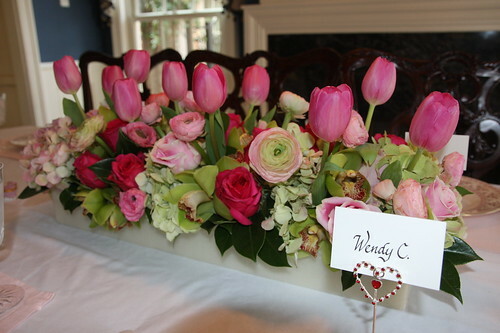 Close-up of Living Room flowers. 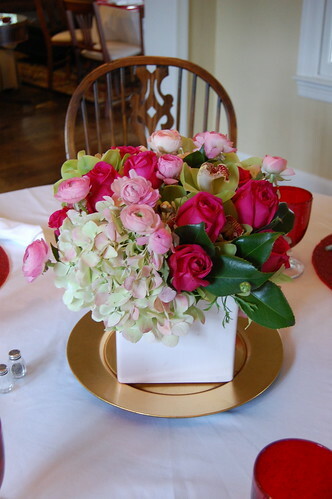 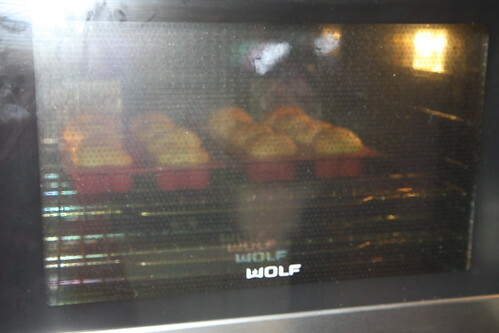 Aren't these exquisite?